With modest beginnings in 1928 as a junior college teaching classes in rooms underneath the bleachers of a local high school’s football stadium, the University of Arkansas - Fort Smith has become the premier regional institution for western Arkansas, serving around 7,000 students each semester and contributing hundreds of millions of dollars to the local economy each year. 2017–2018 undergraduate in-state tuition, $166.30 per credit hour; out-of-state tuition, $461 per credit hour. Each year, more than 80% of UAFS undergraduates receive financial aid. This comes in the form of scholarships, grants, loans, work-study, and other tuition assistance programs. 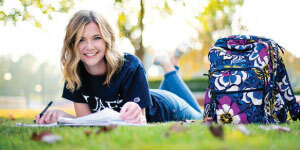 Situated on a beautiful 170-acre campus, UAFS prepares students for postgraduate success through dedicated faculty, state-of-the-art facilities, and academic environments offering unique hands-on learning opportunities for students. 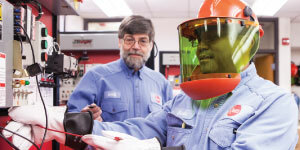 UAFS offers 60 bachelor’s and associate degrees, 35 certificates, and a master’s program with state-of-the-art campus facilities utilized by every program to ensure the most up-to-date, hands-on training. 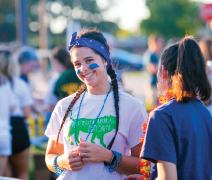 UAFS has more than 100 registered student organizations and adds an average of 10 new organizations every year. During the 2016–2017 academic year, our student organizations hosted more than 300 events and activities both on and off campus. The Campus Activities Board hosts more than 100 student activities each year, including a movie series showing popular films and documentaries. winning musicals and musicians to Fort Smith. Season of Entertainment shows are free to students. UAFS is known nationally for its strong tradition in intercollegiate athletics. A longtime member of the NJCAA, UAFS won two national championships in men’s basketball and one in women’s basketball and was national runner-up in women’s basketball and volleyball. Since becoming a member of NCAA Division II and the Heartland Conference, UAFS has won conference championships in volleyball, women’s basketball, men’s basketball, and men’s golf. First-time, full-time incoming college freshmen who want to live on campus stay in our Lion’s Den Residence Hall, which offers suite-style living. Returning students can live in the Sebastian Commons apartments. We do our best to honor mutual roommate requests, and we have a systematic approach for matching residents based on a student’s response to a questionnaire. Internships are one of many applied learning opportunities students receive at UAFS, and the University encourages students to pursue internships across the city and beyond. UAFS students have interned with the Naval Criminal Investigative Services (NCIS), NASA, and prestigious literary presses in addition to companies across the greater Fort Smith region. The University also sends a student to Washington, DC, each summer to intern with Congressman Steve Womack through a fellowship established in John Paul Hammerschmidt’s name.